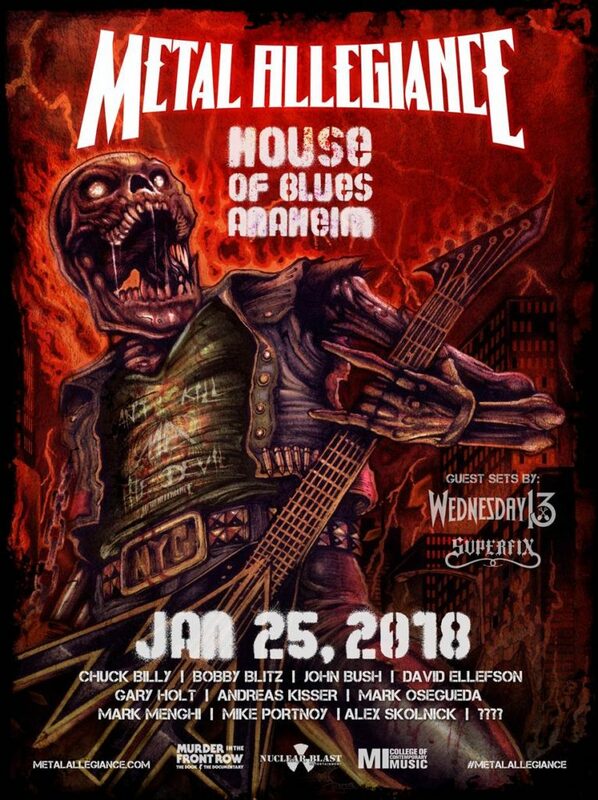 METAL ALLEGIANCE will return to Anaheim, California on Thursday, January 25th at the House of Blues for their annual metal assault! Today, the band is proud to announce TASCAM/TEAC will sponsor the unforgettable night which will introduce Bobby Blitz (OVERKILL) and John Bush (ARMORED SAINT / ex-ANTHRAX) to the all star line-up that METAL ALLEGIANCE is known for. The night will also feature the core four – David Ellefson, Alex Skolnick, Mark Menghi, and Mike Portnoy – who are taking a short break from recording their second full-length album. Joining them on stage is Mark Osegueda (DEATH ANGEL), Gary Holt (SLAYER/EXODUS), Chuck Billy (TESTAMENT) and Andreas Kisser (SEPULTURA). METAL ALLEGIANCE will have a signing at the TASCAM/TEAC booth at NAMM 2018.